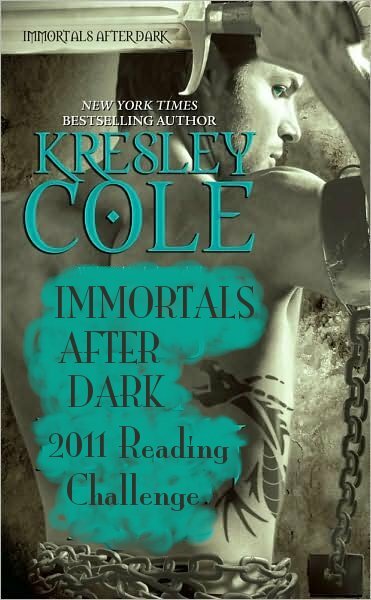 Twimom227 is hosting the 2011 Immortals After Dark Reading Challenge. The goal is to read the entire Immortals After Dark series (8 books and 2 novellas) by the end of the year. Twimom will be hosting discussions of each book, in reading order, during the third week of every month. Click here to sign up! * I have already read a few books in this series, so in all likelihood I will only be participating in the months for which I have not yet read the book. Yea! Thanks for joining in, Amanda! I have heard so many great things about this series, I cannot wait. Happy New Year!